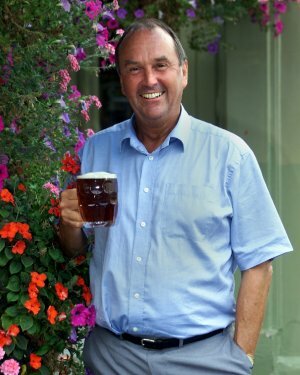 Co-founder and Chairman – Maverick Pubs Ltd.
A joint-venture between The West Berkshire Brewery PLC and Downing LLP. The freeholds in London of The Old Suffolk Punch (www.oldsuffolkpunch.co.uk) in the Fulham Palace Road and The Oxford (www.oxfordtavern.co.uk) in Kentish Town have been purchased so far. Three new pub companies funded under the Enterprise Investment Scheme via The City Pub EIS Fund. The nine pubs trade under the generic brand name of Mosaic Pub & Dining (www.mosaicpubanddining.com). Three new pub companies funded under the Enterprise Investment Scheme via The City Pub EIS Fund. The eleven pubs trade under the generic brand name of Mosaic Pub & Dining (www.mosaicpubanddining.com). Founded in 1995 by Dave and Helen Maggs, David was invited by them to become Chairman in March 2013 in order to further develop their initiative. Since then, the Company has raised £11m. from 1334 shareholders under the Enterprise Investment Scheme and invested in a new, state-of-the-art, 68,000 ft2 Brewery complete with bottling, canning and kegging facilities, together with a 200-capacity visitor centre. Co-Founder and Senior Independent Director – The City Pub Company (East) PLC and The City Pub Company (West) PLC. Co-Founder and Chairman – The City Pub Company (East) PLC and The City Pub Company (West) PLC. Two business start-ups which raised between them over £28m. under the Enterprise Investment Scheme. Following their merger in October 2017, they became The City Pub Group PLC (www.citypubcompany.com) which was admitted to the London Stock Exchange’s Alternative Investment Market in November 2017, owning 44 free houses from Exeter to Norwich via London and Brighton, including 6 micro-breweries. now known as Cobbs Farm Co. Ltd. (www.cobbsfarmshop.co.uk), a business start-up funded under the Enterprise Investment Scheme now owns 7 farm shops and an award-winning vineyard. Gold at The Champagne and Sparkling Wine World Championships 2017. A business start-up which raised £15m. under the Enterprise Investment Scheme and sold its eight, primarily freehold, free houses in London in 2014. Co-Founder and Non-Executive Director - The Capital Pub Company PLC. Co-Founder and Chief Executive - The Capital Pub Company PLC. A business start-up which raised £16m. under the Enterprise Investment Scheme and joined the Alternative Investment Market of the London Stock Exchange in June 2007. In September 2011, Greene King bought the Company and its 35 London pubs for an enterprise value of £93m. giving its original shareholders a threefold tax-free capital gain. In 2010, the Company won the accolade of “Best Managed Pub Company” at The Publican Awards. Founder and Chief Executive - Honeypot Inns PLC. A joint venture start-up between David Bruce’s private investment company, Brew Securities Ltd., and Brakspear’s Brewery of Henley-on-Thames. Developed a new group of managed pubs before Brakspear’s purchased Brew Securities' 50% shareholding after 2 years trading. Non-Executive Director - The Wynkoop Brewery, Denver, Colorado, USA. Co-Founder and Non-Executive Director - The Paris Real Ale Brewery S.A.
Marketing and Development Director - Grosvenor Inns PLC – a fully-listed company on the London Stock Exchange. Responsible for the national roll-out of The Slug & Lettuce chain of branded bars. In 1996 Grosvenor Inns won the accolade “Best Independent Pub Operator” at The Publican Awards. Founder of Bruce’s Brewery and the Firkin chain of pubs which were sold in 1988 for £6.6m to Allied Domecq International, subsequently becoming their largest retail brand. Provided consultancy services and invested in new business start-ups in the international brewing industry from Paris to Seattle via New York and Denver.